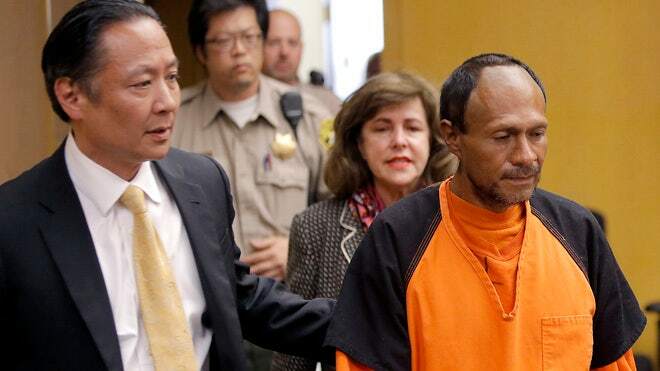 A law enforcement official says the weapon used in the shooting death of a woman on a San Francisco pier belonged to a federal agent — the latest twist in a case that has become a flashpoint in the country’s debate over immigration. The official, said Tuesday that a check of the gun’s serial number shows it belonged to a federal agent. The suspected gunman, Juan Francisco Lopez Sanchez, has been deported to his native Mexico five times and is suspected of living in the United States illegally when Kathryn Steinle, 32, was gunned down last week while on an evening stroll with her father along San Francisco’s popular waterfront area.